Having long hair with a tendency for stringiness or frizziness—or both—I can spend a lot of time in the hair products aisle. Dozens of products claim to make your hair stronger, smoother, fuller and less oily. You can buy shampoos that rejuvenate, renew or add luster. If you’re in the store for a new shampoo or any one of dozens of other hair elixirs, good luck. You might be there awhile. So there I was, hovering in the hair aisle hunting for my perfect shampoo when one bottle caught my eye. “Fortifying Shampoo,” it read. “PURE CLEAN,” it proclaimed in large letters. This shampoo promised “Stronger, healthier hair with no weigh-down” and even “Acerola Berry Antioxidant.” If it has fruit in it, is has to be good, right? Especially a fruit as exotic-sounding as acerola. “Gosh,” I thought. “Do all these other shampoos even biodegrade?” Maybe this was it. 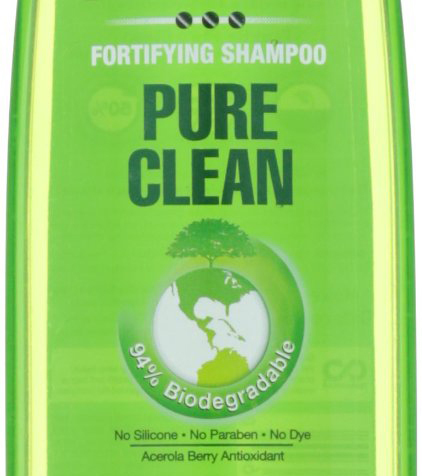 Maybe this was the shampoo that would make my hair shiny and lustrous and flowing, AND I would be helping the Earth. I slowly put the shampoo bottle back on the shelf. I realized that even though this brand claimed to be 94% biodegradable, it was possible many of the other brands were equally, if not more, earth-friendly. Marketing isn’t the same thing as consumer education. Science is rarely part of advertising. But how often do we fall for packaging claims? How many people know that HFCS is nutritionally equivalent to table sugar or that hormones aren’t given to turkeys? I read about this stuff every day for my job. Most people don’t. These aren’t topics we generally learn about in school, either. Even my well-read, well-educated husband brought me up short when he asked, “What’s gluten?” Doggone it, could food (and shampoo) companies possibly prey on what we DON’T know to sell their products? And the apple juice? I was annoyed by the “gluten free” claim, but I bought it anyway. You see, it had a little U.S. flag on the side of the bottle…. This post appeared as the “Stray Kernels” column in the February 2014 issue of DeKalb County Farm Bureau’s Connections magazine. Do you ever ask yourself WHY you do what you do in your job? The obvious answer is to make a living, but beyond that, do you believe in what you do? Why? I believe in what I do, and here’s why. I started with Farm Bureau back in 1998 with the respect and appreciation for farming I gained growing up in the country. I also had a degree in education. That was plenty to make me feel committed to my ag literacy role to begin with. But what I’ve gained in the meantime is a profound respect for farmers and what they do. What keeps me going now is helping people of all ages and backgrounds understand not only where our food comes from, but reminding them there are real people behind that food. Those people are as committed to doing their jobs with integrity as you and I are. I know a lot of them, and I’ve discovered they’re pretty special. Oh, I know they’re not all perfect, and the agriculture industry—like any industry—has many ways it can improve. 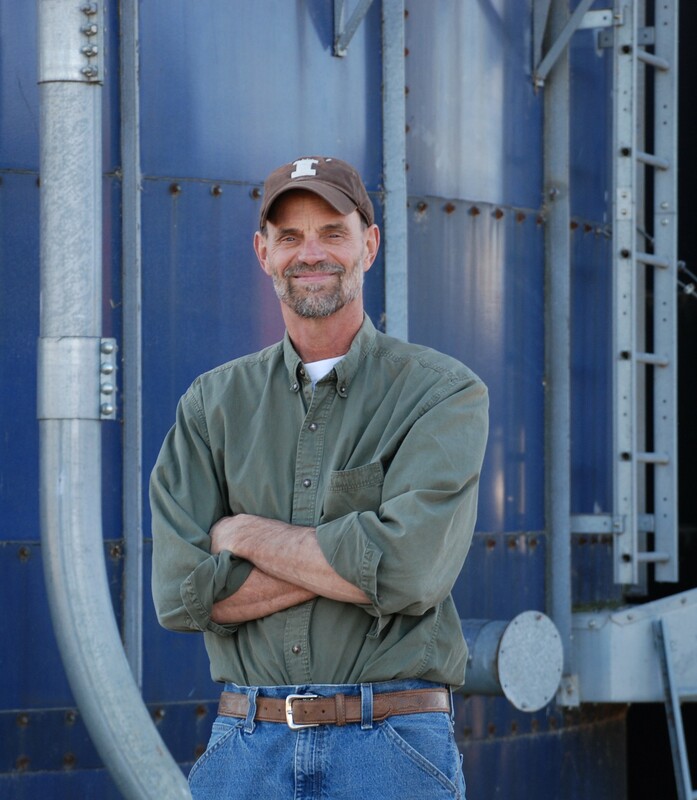 But what I’ve come to realize is that farming takes a level of faith and commitment that most of us can’t comprehend. I mean, come on—spend a few weeks planting thousands of dollars’ worth of seed on hundreds of acres, see it sprout and begin to thrive, then watch it shrivel up when it doesn’t rain for two months…who DOES that? Farmers, that’s who. Because of my belief in our farmers, it bothers me deeply when I read, see, or hear stories about food and farming that reflect badly on them. Especially since so much of the information out there is based on limited understanding (remember, not only are 98% of us not from farms, most of us are also a few generations removed from farming). Quite frankly, a lot of what we hear about food and the farms it comes from is incomplete, twisted, or downright wrong. That wouldn’t be so bad, but of course our behavior is based on our beliefs, so our decisions on the food we buy and the articles we reshare or retweet are often based on bad information! That’s why I’m here. I can’t clear everything up; I don’t know enough. I don’t keep track of the price of corn, I can’t keep up with the Farm Bill, and I don’t know the difference in the functions of the rumen and reticulum in a cow’s digestive system. What I hope I can do is share some good information, address a few misconceptions, and talk about why this stuff even matters. This post appeared as the “Stray Kernels” column in the January 2014 issue of DeKalb County Farm Bureau’s Connections magazine.